For some photography lovers, there is a constant dilemma of upgrading their photography game in the field. Don’t worry! The year has packed along the best DSLR cameras that you can imagine. But, with too many options comes too much confusion. So, to make things simple for you and help you with the best, we have prepared this extensive guide that will take you through the world of best DSLR cameras in the world. This guide will help you recognize the important factors to be considered before planning to buy the best DSLR cameras along with a list of the best DSLR cameras 2019. Irrespective of whether you’re an amateur or a professional photographer, this guide is going to be a treat to your photography passion. What are you waiting for? Go on and make the most of it! SHOW ME THE TOP 10 DSLR CAMERAS NOW! For any photography enthusiast, a great camera can go a long way highlighting and enhancing the talent. So, if you are thinking on getting your first DSLR camera, or wanting to replace the old one with a better version, here are some important factors that you should keep in mind when planning to buy the best DSLR camera. Your Purpose of buying the camera should be clear in your mind before you start reading and searching for a model. Certain questions will help you find out what you exactly need. Do you survive on the money you earn from photography or is it a mere fun pastime? Do you use the camera for capturing the palate-teasing creations you bake and post on your blog? Thus, your reason for purchasing a DSLR camera is very central in shaping the decision. Even if you are tight on your budget if it’s important for your blog’s success you know that buying one is a necessity. So, think carefully about the reason for planning to buy the best DSLR camera, it will show you if a standard digital camera might work as well or not. Brands do matter and make a difference. If you choose to buy a model from Nikon, then you will be getting all the additional optics from Nixon alone, as no other brand equipment will be compatible with it. To put it simply, it isn’t about brand loyalty, but rather about which brand you feel confident shooting with, which you trust the most. Needless to mention, DSLR cameras are expensive. But if you do your research properly, then you will be able to find great deals and get lower prices. Especially if you’re on a set budget, then you might want to wait for a little to make the most of the better deals to come up. It is definitely worth the wait if you wish to get a particular model from a specific brand that you know is going to catapult your photography skills. 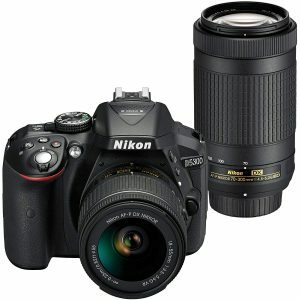 Thus, the best place to start with when trying to purchase the best DSLR Camera is without any doubt the price. The costs of these amazing cameras differ according to brand type and more. The price usually ranges from some very affordable deals at the unexpected end to the very high prices at the professional end. So make sure, you have a clear idea of how much you can spend and what all you can avail in the limited budget that you have. Thus, prepare yourself a budget for the purchase early. Also, remember that you will need to consider other expenses that come with owning a DSLR that includes the cost of different Lenses, extra Batteries, Memory Cards, a good sturdy Camera Bag, some Filters and other important accessories that you may require as per your needs and requirements. So, before you buy the best DSLR camera, make sure you’ve added the extras that you will need in your budget. It will take some time for you to be accustomed to the camera and it to become more compact if it ever had to. Thus, you need to keep in mind how much of a disturbance is the camera’s size and weight is for you. Will you be comfortable carrying it around along for the entire day given it is so bulky and heavy? Your answer to this will help you make a proper choice. Since you are going to shell out a considerable amount of money to get the best DSLR camera, then it becomes necessary that you might as well get some peace of mind. With some more money, you can opt to extend your warranty options and time. This will help you safeguard your camera from any future apprehensions. One of the most important questions to ask, “How much megapixel resolution does the camera have?” Megapixel Resolutions enter into the picture as you decide how you are going to use your images. If you wish to print then enlargements, then more can be good. But, if you’re going to print them in small sizes or use them for e-mailing friends, then it is not such an important consideration. Generally, any type or brand of DSLR camera that you buy today will have more than enough megapixels that you require or put to use. If two cameras are distinguished merely by the number of megapixels they’re packing, you wouldn’t even notice the difference. Even if you notice a difference, then it is most likely due more to lens or sensor quality than the resolution. While sensor size is the most important factor that contributes to the overall clarity of the images, particularly at larger sizes, many people are under the impression that megapixels are the end-all-be-all measure of the camera’s quality. But, it is not so, it is just a myth. It is an easy mistake to make, as a camera and phone manufacturers are always talking about megapixels. They are important, but probably not as much as you think. In short, do not worry about megapixels; you will be getting more and better with every technological advancement. A DSLR Camera is much more sizable as compared to a compact point and a shoot camera. However, there is a fair bit of variation in terms of sizes that need to be taken into consideration when making a purchase. The Size of the Camera is not everyone’s concern. Some photographers do not care about and very effortlessly carry around the heavy gear. But, if you’re going to use your camera for the “on the go” photography such as bushwalking, travel, and more, then the light and small models are just perfect for your use as they are very handy and comfortable. An important consideration when buying a camera is Image Sensor Size. When you talk about the image sensor size, the term crop factor comes along. Generally, the APS-C sensor and Full-frame sensor are the two main types available in the market. A full-frame DSLR comprises an image sensor that is exactly of the same size as a frame of the traditional 35mm film. It measures 36x24mm. On the other hand, the very popular APS-C sensor camera possesses rather smaller sensors, measuring 22x15mm. It simply implies a full-frame sensor has more than 2.5 times the surface area of an APS-C sensor. One of the important questions to ask before you buy the best DSLR camera is, Will I be able to upgrade my camera again in the nearest future? The answer will make a big difference in your purchasing decision as any electronic item you wish to buy must have the capability to be upgraded and updated with the changing times and technology. While the entry-level DSLRs are quite inexpensive, they tend to date faster as compared to the other higher end models. Also, getting an entry-level camera is like taking the risk of growing to pass them as you gain skills and become better at photography. When you have enhanced your skills, you will crave for a camera that offers more professional features and specifications. Thus, it becomes important to assess your current level of expertise in photography and figure out if you can master something with good speed and will then want to upgrade to higher levels to gain more features and control. Undoubtedly, this is a tough question but will help you to find if it’s worth it spends a little extra on a model that you can grow into. If you wish to use your DSLR for video recording, then you will have to look for a camera that offers such functions and carefully consider the video capabilities that it provides. For instance, some entry-level cameras can record in full HD 1080p, while some others cannot record only up to 720p or even non-HD recording. There are different recording frame rates also available, with higher rates smoothing out motion better as compared to the lower rates. Video recording functions may or may not be a great deal to you; depending on often you’re going to record videos on your DSLR camera. But it is still worth considering, particularly, if you aren’t sure if you’ll use the camera to recording videos or not. Even if you don’t plan to do so now, a good camera with better video quality might be useful and handy in the future. Additionally, filming with a DSLR is a different experience as compared to any other device. So, before you take a call, check out the resources on how to get amazing videos with your DSLR. Though the latest DSLR models offer great HD video options, it brings to notice other important parameters such as memory size, add-ons, battery life and more. Each DSLR available in the market comes with ample of different modes such as Action, Night, Landscape, Portrait, and more. However, some entry-level models also have other unique modes that specific to the brand or model such as Panorama, Scene Intelligent Auto, Food, or Guide, which helps you the understand the main functions of the camera. Undoubtedly, learning to shoot in aperture or shutter-priority, or the manual mode is the best way kick-start real photography. However, if you have just started out using the camera a little help specific modes can prove quite helpful. Therefore, it is essential to understand and go through the different modes available on the best DSLR camera that you’re comparing to see if any other model can be a better buy for you. If you’re not using aperture, shutter, or manual modes, then the easiest to go with, Auto mode will also work probably fine. So this shouldn’t be the real deal-breaker, but it is yet something to be borne in mind while planning to buy the best DSLR camera in the world. Most camera models also include quick editing functions that help you to edit photos right from the camera screen on the back by applying filters, automatically making adjustments, or even changing the exposure settings. It is much simpler to make these edits with the photo editing software on the computer, but being able to play with the pictures without having to connect the camera at all is all the more fun and exciting. Some entry-level camera, as well as mid-level cameras, are packaged with what’s known as a “kit lens” that ranges between approximately 18mm to 55mm zoom lens. These different sized lenses usually tend not to have the same quality glass or the same amount of features as more expensive lenses, but they do play their tricks and magic. However, if there is a package deal offer where you can avail a better 18–55mm lens, or a 50mm prime lens, or even an extra telephoto lens, it is surely going to make a big difference in your buying decision. Some retailers offer package deals that provide the camera body, kit lens, and various other important camera accessories such as a bag, memory card, strap, or extra lens together for less than the cost of purchasing all of the pieces of the kit at retail prices. So, if you come across such amazing deals on one of these kits, it is probably the best idea to grab one for yourself while you can. It will not only save you some money but also add the advantages of the various accessories thus enhancing your photography skills. While most of the DSLR cameras, particularly at the entry level, usually look and feel more or less the same, there are some specifications and considerations that you may want to take into account before making a final purchasing call. For instance, some cameras ace LCD screen views, which are better than the screens included on other inexpensive models, which offer you a better place to review your photos. Other models have screen views, which tend to pop out of the back of the camera and rotate, which proves to be a better option if you’re trying to take shots at different unique angles. Sometimes cameras also have a touchscreen that makes it much easier to navigate than using the small buttons provided on the back of the camera body. A different set of cameras are specially meant for people having smaller hands, and if you aren’t a part of that demographic, then you may feel that the camera is a bit cramped. In such a case, opting for a large-bodied DSLR camera will help you relieve some of the discomfort arising out of this issue. Additionally, some entry-level cameras also have polycarbonate bodies, which are light in weight, but also don’t feel as sturdy, comfortable or nice as other higher-level models. Thus, it is a general rule that as you pay more, the quality of the camera body will increase, and vice versa. So, if for you extra durability or a nicer feel are imperative, then that is something you should keep in mind while taking the final decision. If you’re someone who loves to travel a lot with your camera, then you must know that a DSLR camera can be very heavy to make photography a real hard work. The weight of a normal/regular DSLR camera might be somewhere around 1kg, and if you add the different lenses on it might shoot up to approximately 2 to 4 kgs. Also, if you have some additional lenses, then you will have to carry a lot more than 5 to 10 kgs at least. And if wish to shoot with the tripods instead, then you might already have an idea about the weight that is going to be put on your shoulders! So, before you buy the best DSLR camera 2018, make sure you thoroughly understand the cameras weight system and also check if it matches your capacity and needs. The in-built flash feature in cameras is not quite enough for some purposes. Thus, it is better to get a separate flash by spending a little, for better results. However, if you want a flash that produces images without harsh shadows or red eye, then you will have to spend a little more than the usual. DSLR’s are appreciated for their faster shutter and system speeds, and in the world of photography, good speed is something that is loved and appreciated. There are some brands of equipment, but as far as DSLR cameras are concerned, there are the big three giants– Canon, Nikon, and Sony that beat the rest when it comes to good speed with excellent quality. Recently, Pentax has been garnering attention once again in the market. Furthermore, there are more expensive offers available from companies more reputed companies such as Leica and Hasselblad. For most of the normal photography purposes, it is better to stick to the big three giant brands, as they are known for providing remarkable entry-level DSLR cameras within their product lines, and are also relatively inexpensive. 17. How often will you use wireless? Though most of the cameras available in the market incorporate Wi-Fi (or even Bluetooth as an alternative) to help you transfer/upload photos from your camera to other devices, not all the implementations are created equal. Therefore, it is important to search the web for complaints about the apps or connection issues faced by previous buyers before you settle on a particular camera model. This will save you from the troubles that may arise in the future and thus help you get a hassle-free model. Adaptability is another very important factor to be kept in mind with the DSLR Camera that you need to focus on. It is important to purchase a camera that can take some high-quality images in the day time as well as during the night. The DSLR camera you’re eyeing for should have the ability to capture pictures in different modes and conditions thus helping you have the best quality images in any conditions. A Large ISO Range is another very crucial factor that needs to be borne in mind while buying the best DSLR camera. The Larger the ISO range of the camera, the brighter will be the quality of the image that you will get and vice versa. Generally, the ISO range defines the sensitivity of the camera sensors to the light. This is also known as the amount of light that the film can easily be given to absorb. In some latest DSLR models, the ISO range can be adjusted as per your own needs and requirements depending on the situations. Another feature of the DSLR cameras that you tend to focus on while buying the new DSLR camera is the view control. You can have different types of views from your cameras thus controlling the kind of view and the image that you want to have. If you wish to control the background of the pictures you’re taking, then you should purchase the best DSLR camera that has a good quality depth of field. It will help in having a better focus and thus aid you to have a better view of the objects as per your choice, making things smoother for you. Therefore, before you take any call, make sure you have considered the depth of field offered by the particular camera model. There some things to be kept in mind when it comes to camera lenses, and all this is ultimately dependent on the type of photography you plan to do. If all you wish to do is take portraits, then you will require lenses of something around the 50mm or 75mm mark. On the other hand, if you’re into the wildlife of fast-paced photography, then you’ll want something with a long zoom closer to 300mm or beyond. So, to fulfill the focal length confusion, make sure you know your purpose and type of photography well. If you wish to try different types, then buy different types of lenses and keep changing them according to the situations. So, there you have it all! Above mentioned are some of the most important factors that you need to bear in mind when wanting to buy the best DSLR camera in the world. DSLR cameras are an investment that is why doing your homework before buying one is an essential task. There some models of DSLR cameras out there, take your own time and find the one most suited to your needs and financial capacities. We are certain that now that you have a pretty good idea about the functioning of a DSLR camera go ahead and get that lovely DSLR for getting those eye-appealing shots. This special guide focuses on the best DSLR cameras in 2018 that are available in the market for purchase. The essence of the list of the best cameras is to show the most preferred cameras in this competitive marketplace. Since technology is evolving each passing day, most of the buyers aren’t aware of the updates and also lack basic knowledge about particular products. As such, to do away with the confusion, we have critically analyzed the best cameras in 2018 to make your choice easier and better. The analysis is based on various factors such as quality, price, output, ratings, durability and more. Here is the list of the top 10 best DSLR cameras to help you click surreal images in 2019. If you’re in search of the Ultimate DSLR camera, then your search is over with the best DSLR camera in the market, i.e., the Nikon D850. This Nikon full-frame digital camera might be a little heavy when it comes to the price, but you undoubtedly will not be disappointed with its performance and looks. This D850 model has a huge 45.4MP full-frame back-illuminated sensor (BSI) that produces pictures with marvelous details as well as noise performance even at very high ISOs. All thanks to its light-collecting elements that are closer to the surface of the sensor, this special BSI design delivers better low-light performance than any of the brand’s previous sensors. Furthermore, the Nikon D850 forgoes an anti-aliasing filter. It simply implies that more detail can be eked out of the sensor; however, there is the added risk of more patterning than before. This much-sophisticated 153-point AF system is borrowed from the brand’s flagship D5. 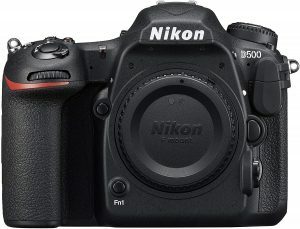 Nikon D850 FX-Format Digital SLR Camera merely is a 7fps burst shooting camera with a heap of advanced features bundled in durable magnesium alloy body. It is one such DSLR camera that is at the top of its game; it’s going to be the best companion for any subject you wish to shoot. Indeed, it is the best DSLR camera and an amazing piece of kit. At times when you don’t wish to, or rather don’t require clicking D850’s full resolution, then you can opt for the two reduced size options, 25.6MP and 11.4MP, which help to record in raw or JPEG files. This unique feature surely seems to be appealing to news and sports organizations who want image transmissions as soon as possible to the desk. Another attractive feature of Nikon’s D850 model is camera’s DX Crop mode, in which the perimeter of the viewfinder is covered to offer a view that is equivalent of an APS-C-format DSLR. The resolution of the camera sinks, as you’re merely using a portion of the sensor, but all credits to D850’s huge resolution you will still be able to click 19.4MP files, isn’t that impressive? Also, there is a new 1:1 aspect ratio at 30.2MP. The Nikon D850 camera has a modest ISO ceiling of 25,600 and a base sensitivity of ISO64. It is not surprising when you take into account of how densely populated the sensor is. However, it has an extended sensitivity range up to an ISO equivalent of 108,400 (Hi2). It is an added advantage for landscape photographers as this model has Lo1 settings that are equivalent to ISO32. The D850 feature a new 0.75x optical viewfinder, which is the biggest magnification factor that has ever been on an FX Nikon DSLR, and also has a touch bigger than the previous DSLR models by the reputed brand. Additionally, the D850 features a tilt-angle, 3.2-inch 2,359,000-dot touch screen. The touch screen offers a better touch control that enables you to navigate the menus as well as touch to focus, trigger the shutter and also review images. With the Nikon D850, you can easily shoot 4K UHD video in FX format sans any sensor cropping at up to 30p, thus enabling you to take full advantage of the field of view of the lenses. Also, it offers Lower-resolution video modes, including Full HD footage in 60p, while the 4K UHD time-lapse clipped can be created in-camera. If 4K time-lapse footage isn’t sufficient for your needs, then this amazing D850 camera can also create full resolution time-lapse videos in third-party software. All this is possible with the camera’s built-in intervalometer that helps you to create a new folder and reset the file numbering for each time-lapse sequence. Not only this, but it also helps to prevent the rigmarole of stripping out the desired files yourself. 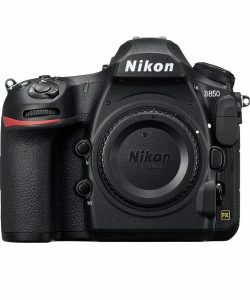 The Nikon D850 does not have the Compact Flash card slot that was a premium feature of Nikon’s previous DSLR models, but it instead contains an XQD slot. You will also find an electronic Vibration Reduction system on the camera that helps to the impact of camera shake while shooting movies handheld. Also, it offers special ports for an external microphone and audio monitoring, while the SD card slot supports cards up to UHS-II. This D850 model gets Nikon’s SnapBridge connectivity for wireless transfer of images that help to get a low-energy Bluetooth connection between the camera and also all your smart devices. The Images can then be transferred from your camera to the smart device through as you shoot at either 2MP or full resolution, or even individually if you select images on the camera. For enjoying immediate image transfer over the Wi-Fi connectivity, you can make use of the app to browse and select the images that you desire. All in all, whether you’re shooting weddings, landscapes, portraits, news stories, streets, action or wildlife, the Nikon D850 FX-Format Digital SLR Camera Body wouldn’t leave you desiring for more, as it is a complete package to serve all your photography needs. The D850 is a much more versatile model as compared to the D810. It is the best DSLR camera in 2018 and perhaps the best-rounded camera that you’ll come across. When we talk of Cameras, how can we miss the most trustworthy and reliable brand in the market, Canon? So, in this best DSLR cameras 2018 list, the second place is taken by a Canon camera model. Canon’s EOS 5D series of cameras consists of a very rich heritage, and the brand introduced an addition to this reputed series with the EOS 5D Mark IV. 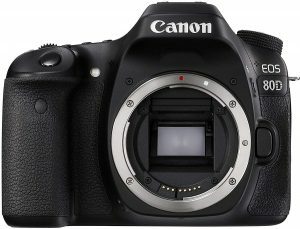 The Canon EOS 5D Mark IV Full Frame Digital SLR Camera Body is more or less, an enhanced version of all the previously experienced features. However, it comes with a new 30.4MP sensor and an advanced 61-point AF system. To put it straight, this Canon EOS 5D Mark IV is a brilliant DSLR that was the top pick. However, the introduction of the Nikon D850 put this Canon model on number two on the list of the best digital SLR cameras. 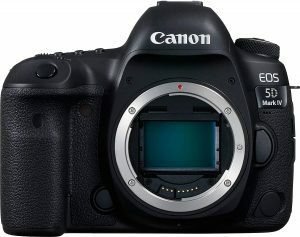 The Canon EOS 5D Mark IV uses the similar latest-generation sensor technology that is available on 1D X Mark II and 80D, along with on-chip digital-to-analog conversion that aims to provide an improved noise performance and broader dynamic range. Talking about the image quality, with the introduction of Dual Pixel Raw technology in this EOS 5D Mark IV gives photographers the capacity to fine-tune the area of maximum sharpness. With every pixel being made of two photodiodes, it enables the user to create a file which consists of a pair of images with two very slightly different focus points. You can then open the files in Canon’s Digital Photo Professional software, and use Image Micro-adjustment to shift the focus slightly, and not hugely. Canon believes that there’s a potential to rescue some shots using this unique technology. Much as you would expect, the image file size increases drastically, from 37MB to 67MB. Thus, you will be bound to use Canon’s DPP software. The sensor sensitivity runs between ISO100 to ISO32,000, which is expandable to 50-102,400. The Autofocus system is sensitive down to -3EV (-4EV in Live View), which is comparatively darker than moonlight. As such, focusing shouldn’t be an issue in poor light. The advantage that you can use lens or teleconverter combinations with a maximum aperture of f/8 and still enjoy the luxury of all 61 AF points is a real deal for sports as well as wildlife photographers. The Canon EOS 5D Mark IV makes use of both a DIGIC 6 and a DIGIC 6+ processor. While the former is used only for metering, the DIGIC 6+ processor is used to handle all the other processes including the 61-point AF system with 41 cross-type sensors. This model also inherits Canon’s Dual Pixel AF technology; it implies that there are phase-detection points on the imaging sensor itself, which promise faster AF acquisition and delivers good performance as speedy as other mirrorless cameras. This second-best digital SLR camera is equipped with a large 3.2-inch display that boasts an impressive 1,620,000 dots and touchscreen functionality. The touchscreen interface on the 5D Mark IV is quite active all the time, allowing the user to go through the menu as well as review the images. The Canon 5D Mark IV offers a spectacular DCI 4K video capture at 4096 x 2160 pixels, at 30/25/24fps (approx 500Mbps), meaning you will be able to extract 8.8MP JPEG images from a 4K video when required. All thanks to the Motion JPEG file format available for 4K capture. This is the single file format available while shooting 4k and it doesn’t offer any option to shoot in a flat gamma profile. However, it does get better 1080p, with a heap of different Full HD options, as well as the capacity to shoot 120fps HD video for some slow-mo movies. 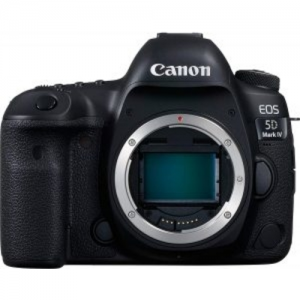 Ultimately, the Canon 5D Mark IV features a dual SD and CompactFlash card slots that accept fast UDMA 7 cards, and also sports both Wi-Fi and NFC connectivity options for transferring image files easily to any smart compatible device. Also, let’s not forget the products built-in GPS unit, which is a unique feature in itself. All in all, the Canon EOS 5D Mark IV is one of the most well-rounded and complete DSLR cameras that you’ll ever find in the market. It is best suited to be used on a variety of from landscapes to sports as well as wildlife. It delivers an output that will blow your mind away, irrespective of the situation or condition. The full-frame sensor is replaced by a 20.9MP APS-C sized chip that allows the D500 to shoot at a rapid 10fps and deliver a great high ISO performance. A brilliant all-rounder with a brilliant 153-point AF system means it excels at fast action like sports and wildlife photography, but still has the chops to shoot landscapes and portraits. Another amazing factor about the Nikon D500 is its unique APS-C sensor that comes with 20.9 million effective pixels, which is comparatively lesser as compared to brands other DSLR models of similar formats. The reason for this unique 20.9 million effective pixels is to enable the photo-sites to be bigger and better and also to enhance systems low-light performance. Furthermore, the EXPEED 5 processing engine allows a maximum continuous shooting rate of 10 frames per second for approximately 200 14-bit lossless compressed raw files. Not only this, it also has the ability to record 4K UHD movies easily and quickly. All these improvised features add up to this alluring package for sports, wildlife as well as action photographers. Along with the imaging sensor, the Nikon D500 also has a new 180,000-pixel RGB sensor to handle metering and white balance. It also helps in informing the automatic scene recognition system to improve autofocusing with better subject detection. The Nikon D500 has a standard range is ISO100-51,200, with five expansion settings. With this, it is possible to shoot 4K UHD (3840 x 2160) 30p/25p/24p video for up to 29 minutes. Just like other models, this Nikon Model has a lower-resolution video modes, and also a Full HD footage can be shot in 60p for slow-motion playback. Additionally, 4K UHD time-lapse movies can be created in-camera. It also features an electronic Vibration Reduction to reduce the impact of camera shaking when shooting hand-held. The D500 has a 3.2-inch 2,359,000-dot screen that is touch-sensitive. One more factor that distinguishes this Nikon model is the presence of SnapBridge technology. The Nikon SnapBridge Technology enables the camera to stay permanently linked to a smart device over a low-power Bluetooth connection (or even via Wi-Fi). It simply means that after the first connection has been made the pictures can be sent i automatically to a smart phone whenever you shoot. Do you adore the design of Nikon’s D850, but cannot afford to spend a huge amount to get the system? Don’t be disappointed; the Nikon has heard your requests by introducing the affordable 24MP full-frame Nikon D750 FX-format Digital SLR Camera Body. Though it doesn’t feature the humongous 45.4-megapixel sensor like the Nikon D850 has, but it surely has a 24-megapixel alternative that is good enough to deliver top quality results, particularly at high ISO settings. This pocket-friendly model by Nikon also features a decent 6.5fps continuous shooting speed and a handy tilting screen. The best part about the Nikon D750 is a 24.3-million-pixel CMOS sensor and an Expeed 4 processing engine. This new camera features an anti-aliasing filter over the sensor, unlike most other models. The unique sensor and processor blend allows a native sensitivity range of ISO100-12,800 with extension settings taking it up to ISO50-51,200. Also, it makes it possible to shoot at up to 6.5 frames per second (fps) and record a Full HD video at up to 60p. Most of the Videographers will like the stereo microphone and headphone ports along with an excellent ability to fine-tune audio levels in isolation before as well as during the video recording. With this Nikon model, you can also select the sound range (wide/voice) for adjustment and adjust the aperture with buttons rather than dials for smoother and quieter operation. Furthermore, you can also reduce the wind noise when recording with the built-in microphone. The Nikon D750 is also a unique model amongst various full-frame DSLRs that have a tilting screen which proves to be advantageous while shooting video specifically. While shooting in Live View or video mode, it has a handy Zebra pattern display to indicate on the screen all the areas that are in danger of burning out. Additionally, this model can also output uncompressed footage via an HDMI connection to enable high-quality recording to an external device. Though it consists of two card slots, both of them accept SD/SDHC/SDXC. One can be used as an overflow store, or it can be used as a back-up. Alternatively, the camera can also send different file types to form one card to another. The D750 has good compatibility with the Nikon’s UT-1 and WT-5 for professional-level wireless image transfer. But not only this, but it also offers Wi-Fi ‘n’ connectivity in-built for faster sharing of images and wireless remote control via a smartphone, through Nikon’s Wireless Mobile Utility application. Taking a step ahead from DSLR models such as D5300, the Nikon D750 features seven Special Effects modes including Night Vision, Color Sketch, Miniature Effect, Selective Color, Silhouette, High Key and Low Key. All these special effects can be to stills as well as movies when needed. Though it seems to be a full-frame model with ample of professional features, Nikon is undoubtedly pitching the D750 at photography enthusiasts too. The changes to the Picture Control system that were introduced in D810 are also a crucial part of Nikon D5300s features; it includes the new Flat Picture Control mode that produces video footage as well as still images with less contrast, offering greater scope for post-capture grading. Additionally, it also has Clarity control that allows the micro contrast of images to be adjusted to give the appearance of stronger shapes and outlines, posing less risk of halos and over-sharpening problems. 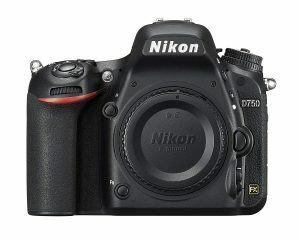 All in all, if you’re someone who loves to click pictures, the Nikon D750 FX-format Digital SLR Camera Body is one of the best cameras you can pitch for. The Canon 80D Digital SLR Camera has a new 24-million-pixel sensor along with a Digic 6 processing engine. It might sound similar to the 24Mp 750D and 760D, but these lower-level cameras have Hybrid AF III devices and not the Dual Pixel CMOS AF sensor used in this EOS 80D. This model’s sensor and processor combination bring a native sensitivity range of ISO 100-16,000 and a maximum expansion value of ISO 25,600. While the maximum continuous shooting rate is set at 7fps, the burst depth is increased to 110 JPEGs or 25 raw files when a UHS-1 SD card is used. The Canon EOS 80D has a new and improved version of the Dual Pixel CMOS AF system found in its predecessor and also an increased resolution of 24 million pixels. Generally, modern DSLRs offer two autofocus systems, one for using the camera conventionally and composing images in the viewfinder (in the reflex mode) and the other used in Live View and video mode. Canon has improved both of these systems for the EOS 80D for better productivity. For instance, the reflex mode system has 45 AF points, all of which are cross-type. It simply implies that the new camera has better AF point coverage, thus making it capable of finding and following subjects around the frame. Additionally, all of the points are cross-type with lenses that have a maximum aperture of f/5.6 or more. The central 27 operate at f/8, and nine of these are cross-type at f/8. This is happy news for anyone using telephoto lens/teleconverter combinations that reduce the maximum aperture to f/8. This model can also use color information from the 7560-pixel RGB+IR (infrared) metering sensor that can aid in easy subject tracking. Talking about the Live View and video autofocus system, the 80D uses Dual Pixel CMOS AF technology just like the 70D, which means it contains phase detection points on the imaging sensor itself. As per the company Canon, the new system is much more sensitive and faster as compared to the one in the 70D. But, because fast autofocusing (AF) often isn’t a great deal when shooting video, it is possible to vary the speed of the 80D’s system over seven steps for slower focus alterations. Though the Canon EOS 80D lacks one of the most in-trend video features – 4K recording, it improves upon the video offering with a headphone port for audio monitoring along with the ability to record Full HD footage at 50fps for 2x slow-motion playback. Just Like the 70D, the 80D also has an external mic port, whose volume can be adjusted manually in-camera, along with an HDMI Mini and A/V Digital out terminals. Also, the Canon EOS 80D can record in MOV or MP4 format, unlike its counterpart. Canon’s excellent Video snapshot feature is also an added advantage to help create more dynamic short films in-camera. The NFC logo on the side indicates that the EOS 80D has a Near Field Communication to support wireless connections to smartphones, tablets and Canon’s CS100 Connect Station. It enables the camera to be connected to an NFC enabled smartphone or tablet, the Canon Connect Station CS100 or any other Canon cameras with just a tap. Additionally, it also allows images to be shared or transferred quickly to the internet. This connectivity option enables the camera to be controlled remotely from anywhere using the Canon’s free app. Moreover, if the new EF-S 18-135mm f/3.5-5.6 IS USM lens is used with the Power Zoom Adapter PZ-E1 at the same time, then the app can also be used to zoom the lens from one focal length to another. One more important point that needs due attention is that the 80D has Ambience priority and White priority options for the automatic white balance system. Using the Ambience priority setting delivers images that retain some of the color created by the lighting, while the White priority setting is intended to obliterate the color cast. All in all, with some many powerful features and advancements, the Canon Digital SLR Camera Body [EOS 80D] is what you term as the best DSLR camera. Though the Nikon D7500 DX-Format Digital SLR Body is comparatively inexpensive than the D500, it quite doesn’t offer the same pro-spec performance and build quality. However, the Nikon D7500 has the same amazing 20.9MP sensor, but in an even more compact, well-built and reasonable body. This new camera might not get the 153-point AF system, but the improved 51-point system in the D7500 still puts a lot of competitors in the backdrop. The 4K video capture, tilt-angle touchscreen display, and 8fps burst shooting are some of the highlights of Nikon D7500 DX-Format Digital SLR Body. One of the best improvements brought by the Nikon D7500 is the change of the image sensor. Here, Nikon has chosen to use the slightly lower-resolution 20.9MP sensor, which is teamed with Nikon’s EXPEED 5 image processor. The ISO range Nikon D7500 is 100-51,200. It is standard and offers an extra stop of flexibility, but it is the extended range that impresses. It offers a low setting of ISO50, while the upper ceiling is a large ISO1,640,000. The D7500 boasts of a 3.2-inch tilt-angle touchscreen display with a 922,000-dot resolution. Additionally, it also has an eye-level pentaprism optical viewfinder that offers cent percent coverage. It is pleasing to see 4K UHD (3840 x 2160) video capture on the D7500, at 30, 25 and 24p for up to 29 minutes and 59 seconds. There are lower-resolution video modes, and Full HD footage can be shot in 60p for slow-motion playback. In addition to the 4K UHD timelapse movies can also be created in-camera. Also, there is an electronic Vibration Reduction to reduce the impact of camera shake when shooting movies hand-held. Furthermore, the Nikon D7500 also offers simultaneous 4K UHD output to the card and uncompressed via HDMI. It also includes a headphone and microphone jack for pro-level audio recording and monitoring. Talking of the memory cards, the D7500 only features a single SD card slot and not two. This might be a little disconcerting for some potential buyers. Just like Nikon’s other models, the D7500 also sports Nikon’s SnapBridge technology, thus enabling the camera to stay permanently linked to a smart device via a low-power Bluetooth connection or even a Wi-Fi connection. It merely implies that after the initial connection has been made images can be transferred or send automatically to your smartphone whenever you shoot. 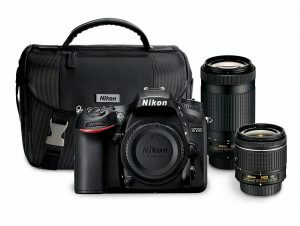 All in all, Nikon D7500 is one of the best Digital SLR cameras you will find in the vast marketplace. The Canon EOS Rebel T6 Digital SLR Camera is an excellent option for a step up from point-and-shoot or an entry-level camera for beginners. The Canon EOS Rebel T6 is an entirely automatic but one can gradually take creative control of every aspect of photography with time and comfort with its various settings and features. The camera comes with a small yet comprehensive instruction manual that helps you understand the basics. The factor that you would want to is the WiFi capabilities. 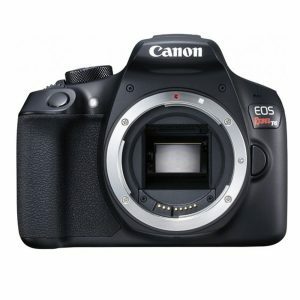 Unlike the Canon SX60HS, the Canon EOS Rebel T6 Digital SLR Camera is a little disappointing as it cannot wirelessly download to the hard drive of a computer. You will have to use your cable or card reader. However, it is merely a small annoyance that you may face. The system can easily transfer your photos to any mobile device. Consisting of a very versatile set of imaging capabilities in addition to a support for a connected workflow, the Canon EOS Rebel T6 from is a compact, handy and sleek. This best DSLR camera features an 18MP APS-C CMOS sensor and a DIGIC 4+ image processor. These two amazing technologies together offer a rich image quality with reduced noise. Also, the device’s native sensitivity ranges between ISO 100-6400, which can be further expanded to ISO 12800 to meet working in low and challenging lighting conditions. The sensor and processor also can shoot continuously at three fps for photographing moving subjects, as well as can record for the same time in Full HD 1080p/30 video. Serving the shooting purpose with its optical viewfinder, a 9-point AF system incorporates a single center cross-type AF point for enhanced accuracy and focusing speed. Also, the EOS Rebel T6 model is equipped with a contrast-detection focusing system that provides refined autofocus precision for shooting movies or systematically working in live view. The rear 3.0″ 920k-dot LCD provides a better, brighter and clear image for playback and review. Also, the built-in Wi-Fi with NFC makes it possible to wirelessly share imagery from the camera to any linked smart mobile device for instant online sharing. Along with the camera body, comes the EF-S 18-55mm f/3.5-5.6 IS II lens that offers a 28.8-88mm equivalent focal length range which can cover a wide-angle to short telephoto perspectives. All in all, the Canon EOS Rebel T6 Digital SLR Camera is an excellent choice for anyone who wishes to get the best of all in one device at a reasonable budget. 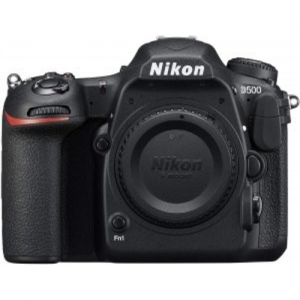 Unlike other highly priced full-frame cameras, the Nikon D5300 Digital SLR Camera is rather on the inexpensive side. Even though it is affordable, it doesn’t lose out on the features. The Nikon D5300 Digital SLR Camera has one of the sharpest APS-C sensors and a neat retracting kit lens. This system is proof that you don’t have to spend more money to fetch a great camera. With its exceptional advanced features, it is undoubtedly a sheer value for money. The camera is equipped with an excellent 24MP sensor and though the controls simple, designed keeping in mind new users, when in the right hands this Nikon D3500 can create magic just like other cameras costing far more. If you’re searching for a system that enhances your creativity and photography skills, then the Nikon D3500 is just the best deal. The Nikon D3500 comes with the similar effective 24.2MP pixel count as its counterpart D3400. However, the company claims that it is a new sensor. The APS-C sized sensor in the D3500 also does away with an optical low-pass filter to help enhance the image quality. This Nikon model’s ISO sensitivity range of 100-25,600 is also quite wide, but it doesn’t much enhance the range of its counterpart. However, considering the increasing trend towards 4K video, especially in mirrorless cameras, it is quite underwhelming to see merely Full HD capture offered by the Nikon D3500. But, don’t be disappointed, the D3500 can shoot at a smooth 60/50p, as well as 30/25p and 24p. Also, it provides lower-resolution recording options as well. Additionally, it doesn’t offer any microphone port, so you will have to rely on the camera’s built-in monaural microphones. So, if you’re someone who shoots videos regularly, you will probably want to look for another model. Nikon has also chosen to carry forward the same 3.0-inch display, with a modest 921,000-dot resolution, from its previous DSLR models. The display screen is fixed, and it sits perfectly to the body. However, if you wish to have a vari-angle display, you will have to search for another model upwards. It is a little disappointing to see touchscreen functionality, a feature that would have become more or less a necessity for anyone who is using a smartphone. The rear display is aptly complemented by an optical viewfinder. The optical viewfinder on the D3500 provides coverage of 95% that is common for an entry-level DSLR. Thus, you might need to be extra cautious when framing some shots to prevent unwanted elements creeping into the edges of the frame. Just as the D3400 model, Nikon D3500 also has no Wi-Fi connectivity, but it does offer a good Bluetooth connectivity which makes it possible to transfer images via Nikon’s SnapBridge feature. Though the Nikon D3500 can be bought as a standalone camera with no lens, most of the people looking at this beginner camera choose to get the 18-55mm lens that is clubbed with the camera for a few more dollars. It is important to pay close attention to the lens when you’re looking to buy a D3500 as there’ are two different versions available in the market to satisfy varied needs. There is the AF-P DX 18-55mm f/3.5-5.6G and the AF-P DX 18-55mm f/3.5-5.6G VR. The Vibration Reduction (VR) designation should be carefully taken into account as it denotes Nikon’s image stabilization system. The price difference between both the lenses is almost negligible. Thus, it is recommended to spend a little more than the usual and opt for the VR version of the lens, as it enables you to shoot at slower shutter speeds and still achieve sharp and crisp shots. Just as its forerunner, the Nikon D7200 DSLR camera has no anti-aliasing filter in front of the sensor, an innovation specially designed to offer sharper images and enhanced rendering of even the finest details. The brand claims that D7200 can capture 100 JPEGs in burst or 27 raw files, though the numbers are in accordance to smaller 12-bit NEF files, and not the 14-bit files favored by those looking for maximum image quality. Apart from enhancing the frame rate, the 1.3x crop mode has a handful of other useful and helpful applications. It helps to extend the reach of your lenses when you need to get closer to a subject, like shooting news or wildlife, and with 24 million pixels of resolution, there is just enough scope for cropping in on subjects while still having the ability to produce large, high-quality prints. Also, it means that the 51 autofocus points cover the whole frame, and aren’t merely grouped around the center. One more refinement is in the camera’s sensitivity range. The Nikon D7200 has a native range of ISO100-25,600. It also consists of Hi BW1 and Hi BW2 expansion settings, which help you get up to a massive ISO 102400. But, both these options are only available in JPEG mode and produce monochrome pictures. 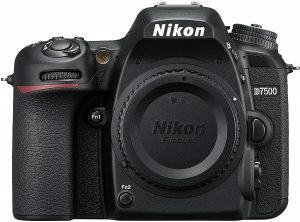 This Nikon model is equipped with Picture Control 2.0, meaning there are seven different Picture Controls, including the new Flat mode. This unique Flat mode feature helps to produce images with reduced contrast and maximum dynamic range that is much more appealing to videographers as compared to photographers because it makes grading and enhancing footage much more simpler. Talking about the video, the Nikon D7200 shoots full HD 1080p footage at 30/25p. Also, you can shoot at 60p/50p when using the 1.3x crop mode. The system provides excellent compatibility with new Nikon ME-W1 wireless mic that can quickly capture sound up to 50 meters away. The Video footage can be easily saved to one of the D7200’s dual SD card slots, or can also be transferred through the HDMI to an external recorder. The D7200 boasts both WiFi and Near Field Communication (NFC) connectivity options within the body itself. It is the very first time that Nikon includes the NFC connectivity option, which makes it easier to connect it to any an Android phone or device even quicker. One more feature that remains the same in this model is the 3.2-inch, 1229k-dot LCD screen that is fixed and not touch-sensitive. Also, it has the eye-level pentaprism optical viewfinder that offers 100% coverage. All in all, the Nikon D7200 is one of the best DSLR cameras out there, and an amazing deal if you’re looking to upgrade from an entry-level model to an enhanced version. It is completely packed with useful features and also has a cracking sensor. Moreover, it offers solid performance and an excellent AF system. It might be a little pricey, but it is a fantastic value for money too. The Canon EOS Rebel T7i is a little on the costlier side as compared to other DSLR models. However, it offers much more in terms of features that justify its heavy price tag. The Canon EOS Rebel T7i (also known as the EOS 800D) is a fantastic entry-level DSLR. Its highly advanced new sensor impresses with the appealing output, and so does its 45-point autofocus (AF) system supported by an excellent live view AF. On the other hand, the newly designed graphical interface surely makes it all the more attractive for new users. However, every good comes with some flaw, and the Canon EOS REBEL T7i isn’t an exception to this rule. 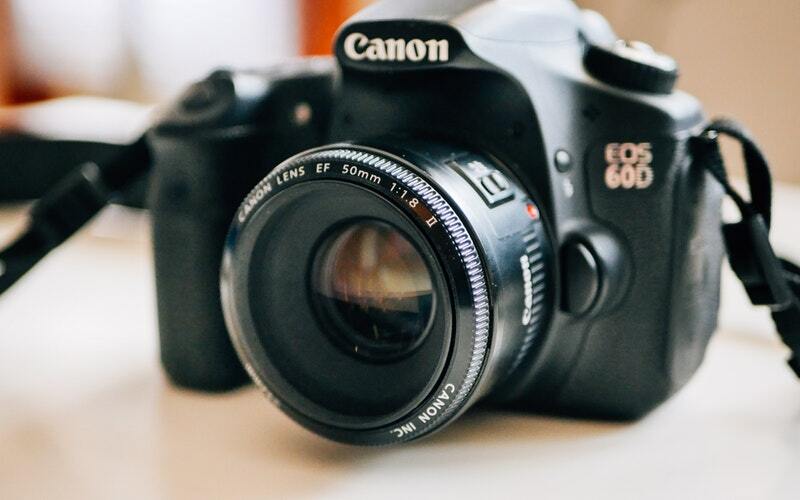 The absence of 4K video and the quality of the exterior materials is a little disappointing, but that kept aside, if you’re in search of a well-rounded and easy to use DSLR camera, then the Canon EOS Rebel T7i / EOS 800D is undoubtedly a very good deal. The EOS Rebel T7i (EOS 800D) boats a 24.2MP resolution and makes use of similar technology as found in EOS 80D. Also, this model uses on-chip digital-to-analog conversion technology to handle noise better. The camera’s new sensor is steered with a new DIGIC 7 image processor. As per the company’s claims, the DIGIC 7 image processor can handle 14 times more information than the DIGIC 6 processor, which again will help to produce a better high-ISO noise performance, along with an improved autofocus performance also. Talking about the camera’s sensitivity, the Rebel T7i / 800D offers a range of ISO100-25,600. Also, it has a high setting equivalent to ISO51,200. All you need to do is select the required in the custom settings option. This Canon model also offers a 3.0-inch, vari-angle touchscreen display that boasts a resolution of 1,040,000 dots. Since 4K video capture is becoming much more of a standard feature on the latest cameras, the Canon Rebel T7i is doing away with it, is a little disappointing as it only offers a Full HD capture. With Rebel T7i, footage can be captured at up to 60p, and the brand offers a 5-axis image stabilization system to make hand-held shooting easier than ever before. It is specially designed to work well with video and not stills as the system can counter unwanted camera movement, while IS-equipped lenses will also work in conjunction. It also equipped with a 3.5mm stereo microphone jack port. However, it lacks a headphone port to monitor audio, which is pretty standard in most of the other models. The Rebel T7i supports Wi-Fi and NFC connectivity. It now offers the option to set up a low-energy Bluetooth connection to enable you to be connected to the camera always. Additionally, Canon’s Camera Connect app also allows you to wake the camera from its slumber as well as browse photos and operate the camera remotely. This Camera Connect is updated on a timely basis for making it more user-friendly, and for helping you guide through the various controls. Not to miss out, the introduction of the Canon EOS Rebel T7i has also brought in a new wave of 18-55mm kit lens. The Canon EF-S 18-55mm f/4-5.6 IS STM is 20% smaller as compared to predecessor, and even a little slower, due to its collapsible design. However, it offers up to four stops of image stabilization. 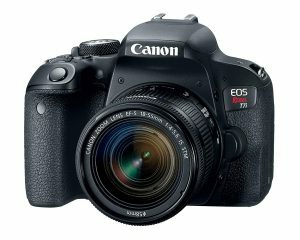 All in all, the Canon EOS REBEL T7i EF-S 18-55 IS STM Kit is one of the best DSLR cameras deals you will find in the market that will not only improve your photography skills but also enhance your liking towards the subject. Purchasing the best DSLR camera is not an easy job as there are a host of features and varieties that are available at your disposal. Thus, deciding to buy a brand new DSLR becomes a crucial step, and you will want to ensure that you’re selecting the best DSLR camera to suit your specific needs. For this, you need an eye on multiple factors and elements that will make a big difference before you get to buy one. Comparing and analyzing the sensor size, megapixel resolution, lenses, and other imperative specifications will give you a better idea of what you’re getting for your money. Therefore, it is always wise to compile a list of the things that you need in your DSLR camera and also your spending capacity for the same. You can then narrow down the options as per your requirements, which will ultimately be boon making things easier for you when you plan to buy the best DSLR camera. All in all, make an informed and practical decision, and you’ll be happy with your purchase. A good camera will keep your photography enthusiasm in place!